American Restorations Collection One DVD Review The only draw back from this TV series is that at times it does become a little repetitive but overall, it's still enough to mesmerise you. 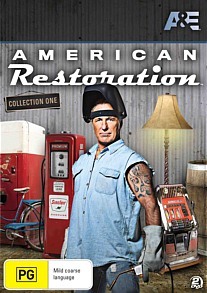 If you like reality TV shows like American Pickers or Pawn Stars, than American Restoration may be right up your ally. 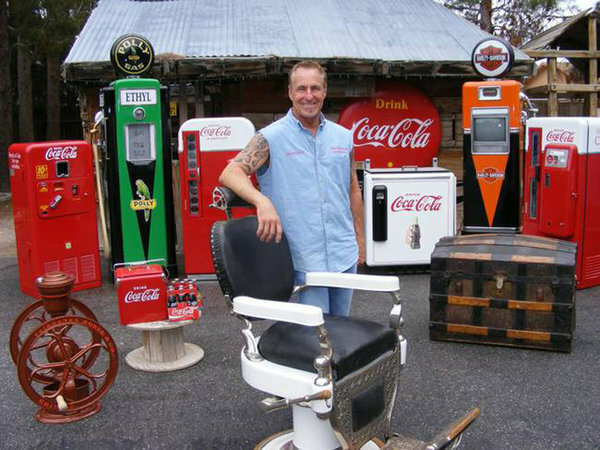 American Restoration is of a similar premise to the aforementioned TV series where passionate Americans bring in a variety of old items such as motorbikes, coke machines and juke boxes in order for Rick Dale and his team at Rick Restorations in Las Vegas to restore. It's actually quite amazing to see them restore these old and sometimes pieces of junk into new. If Rick Dale sounds a little familiar and you watch Pawn Stars, than that's because Rick occasionally guest stars on that TV show as Rick Harrison (Pawn Stars) uses his company to restore a variety of items that his pawn shop purchases. Interestingly enough, the first episode actually guest stars Rick Harrison, Big Hoss and the Old Man from Pawn Stars as they get Rick Dale to fix a 1960's three-wheel golf car. This collection features 16 episodes and really draws you into the series, especially to the amazing and often quite expensive results. Best of all, you actually learn how they restore these items from jet blasting walnuts to remove paint or rust and even meticulously painting original logos back to life. It's actually an art and Rick Dale hopes that his son will follow. However just like Pawn Stars or American Pickers, this TV series is about the personalities and Ricks' team of restorers all have their own unique and at times amusing and volatile personalities but at the end of the day, they work like a team and the results are spectacular. The only draw back from this TV series is that at times it does become a little repetitive but overall, it's still enough to mesmerise you.